I have a little something new here on the blog... 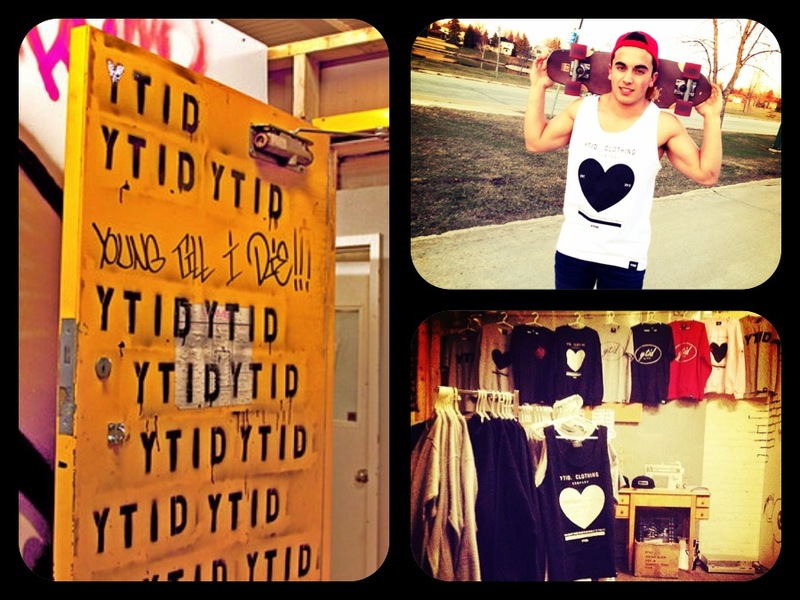 I would like to present you an upcoming label, YTID Clothing, the new indie street wear label from the very heart of Canada Winnipeg. During the late summer of 2012 YTID clothing started making garments inspired by street music and culture and the 4-letter acronym turns more and more into a brand that represents authenticity and encourages individuality. Strolling around in Winnipeg’s streets it won’t take too long until you spot those 4-letters on a hoodie, shirt or on the very stylish caps by YTID. Taking a closer look at the YTID collection makes you realize that is has that little something for every mood and for every personality. Sneaking through my own closet I wouldn't exactly define my style as sportive but what I really like about those big sweaters, shirts and caps by YTID clothing are those hundred possibilities of wearing them. Style them with your favorite sneakers for your daily outfit. If you rather had it a little more feminine for the night out how about you go for the boyfriend-style ce soir and transform that big sweater or shirt into a short eye catching dress brought to perfection with an outstanding bag and killer heels... If you haven’t spotted any clothes with the YTID-acronym on yet keep your eyes open... it’s up to you which role you assume by wearing them..